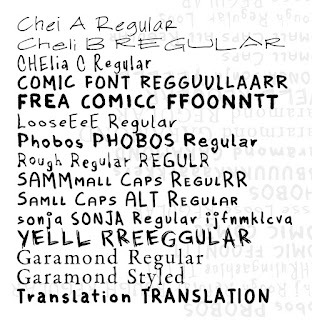 The 15 fonts Jason Brubaker offers for sale. I decided it was worth it so no one gives me the pariah treatment for using Comic Sans. Isn't Jason part of TAG North? I should have got a discount. 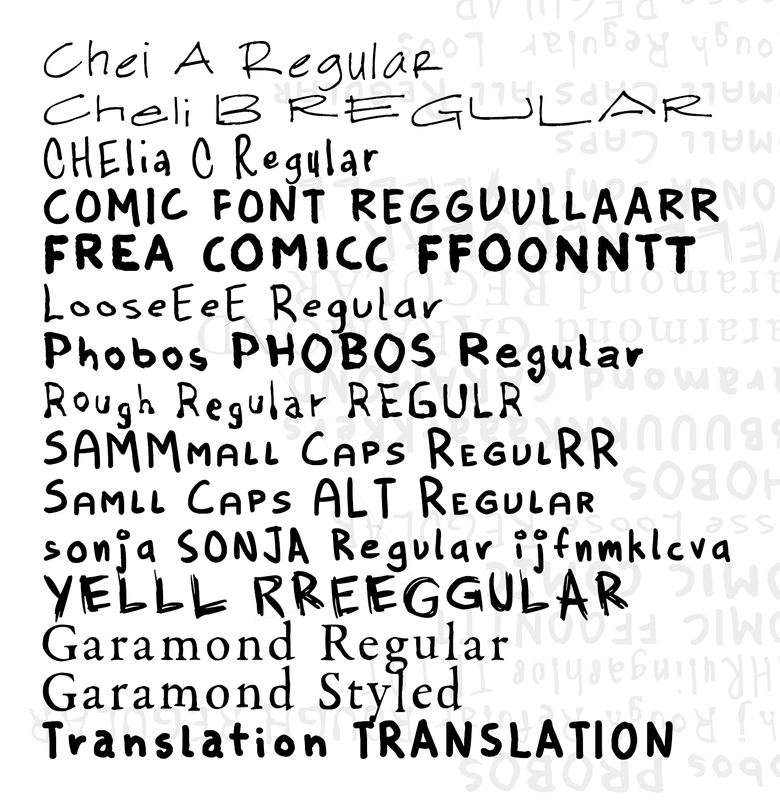 The fonts that are all caps, when you hold the shift key, you get a variant. Making more of an illusion of hand lettering. That's cool. I'm eager to see how it looks in one of your actual comic books! I need to finish the ventriloquism story. That would be a great use for it. But I also need to write my first young adult book. What will your young adult story be about? Will it be a comic? Illustrated story? I just jotted down a bunch of notes for a ghost story. That may be what I do. I was typing up what script I had of Junkyard Split. The story about one dog that becomes two dogs, bitter rivals in a co-owned junkyard. It would stick with my strengths if I go to ghost story. I was trying to be Nickelodeon when I did the other story. The ghost story comes from lucid, half awake dreaming. The best time to make notes on a story. My best time anyway. I was just going to transcribe 3 index cards of notes and it took possession of me. I think I've got a good first draft. Tired now. I'll read it fresh tomorrow. Cool! Look forward to reading it. I don't think this guy is part of TAG North.